"One of the best providers I have ever had." "Dr. Resnick was excellent. She treated me as an individual with my specific circumstances and not just as a general cookie cutter type patient. I felt very confident with her care." "Can not say very good enough about the fabulous doctor." "Dr. Resnick is a very caring, competent professional. She takes the time to provide information needed as well as listens to concerns/questions of the pt. She definitely includes the pt. in the process!" "Dr. Resnick is an excellent dr. Always explains any procedures." "Dr. Resnick is outstanding. She spends a lot of time with her patients and answers all questions. Without a doubt, she is very caring." "Dr. C. Resnick is very caring and explains everything so you can understand why something is happening to your feet or ankles. Takes care follow-ups are convenience to you & advise to call earlier than appt. if needed. " 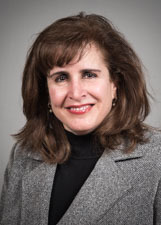 "Dr. Resnick: very good since I have known her through the years." "I've told friends & family how great Dr. Resnick is. Goes above & beyond to make herself available if you need her after procedure. So great! " "Have recommended my mom & sister to Dr. Resnick. " "I am very pleased and happy that I found Dr. Resnick and trust her." "Very knowledgeable and friendly. I have gone to multiple podiatrists for one of the issues I was having but Dr. Resnick was the first to have a solution to fix it." "Doctor Cindy Resnick is a wonderful foot doctor she takes care of my husband." "Dr. Resnick has a lovely smile and likes to chat. I enjoy my appointments." "Doctor Cindy Resnick saved my husbands foot he has diabetes. She is a wonderful foot doctor she's the best always tell family and friends about how wonderful she is she is a kind and loving person and very caring about her."